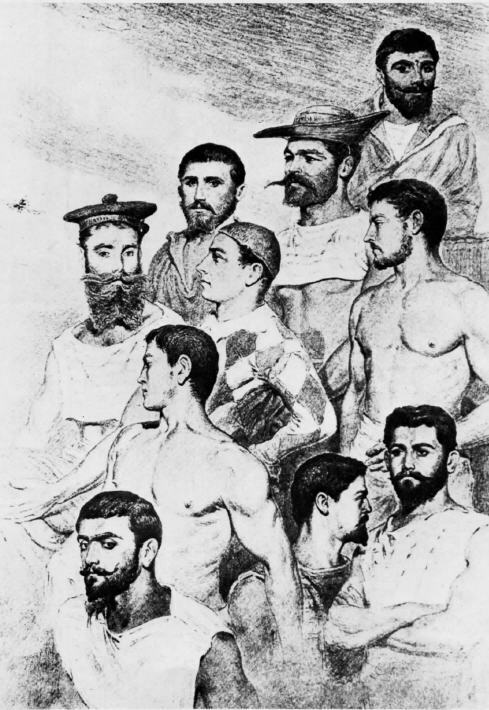 While serving in the navy, Julien Viaud adopted the Tahitian name Loti, because his Tahitian mistress, Rararu, found his French names hard to pronounce. He began to write novels set in the distant lands which his naval postings had enabled him to see: Tahiti, Turkey, Japan, Senegal. They sold in millions. Their titles are as evocative of the Third Republic as Métro entrances or absinthe advertisements: Roman d’un Spahi (1881); Mon Frère Yves (1883); Pêcheur d’Islande (1886); Madame Crysanthème (1893). The biggest commercial success of all, Les Désenchantées (1906), which went through four hundred editions, was inspired by a deception played on a besotted Loti by three educated young ladies of Constantinople, one of whom pretended to have fallen in love with him. When two of the ladies fled Turkey and appeared in Rochefort, they turned out to be, as Lesley Blanch describes them, ‘sluttish, lazy and mischief-making’. Loti became désenchanté with the désenchantées. Loti’s drawings supplemented his journals. Here he records some shipmates aboard the Triomphante. Why one wears Harlequin’s costume remains mysterious. Was there a Columbine aboard? Fantasy is the key to Loti’s character, writes Lesley Blanch; but, in addition to being a novelist, he was also a remarkable witness to his age. Loti was a dramatic travel writer who ‘always carried his readers away with him’, to Persia, Egypt, Morocco or China. He was also a sharp-eyed diarist, although he and his son/secretary Samuel Viaud censored many pages; and an accomplished draughtsman and photographer. His photographs of Constantinople, taken when he was stationed there on Le Vautour in 1903-5, are more vivid, with more ordinary street life, than most photographs of the time taken by natives of that city. Another unconventional aspect of Loti tolerated by the French navy was his attitude to European imperialism. Like Conrad and Wilfred Blunt in England, he was disgusted by its arrogance, savagery and commercial exploitation. Loti stood outside and criticised his own time − possibly, like another French writer of unorthodox sexuality, André Gide, spurred by his Protestant background. French Protestants too, within living memory, had been among the oppressed. Loti lamented that the French had made Algiers almost insipid. Algerians had become ‘poor creatures already gangrened by our manners . . . thieved and exploited by us’. 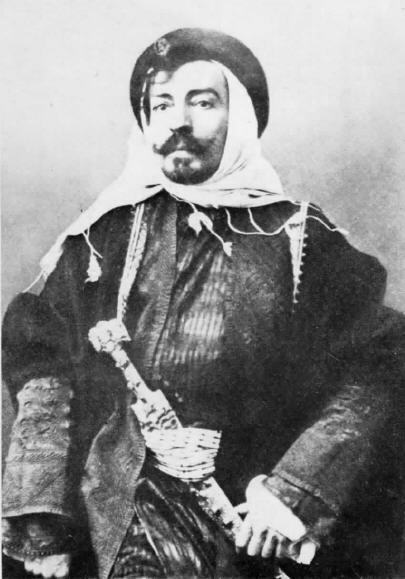 He revealed the savagery of the French attack on Tonkin in 1883, deplored the American attack on Cuba in 1898 and criticised the constant victimisation of Muslim countries: ‘Everything which touches Islam, near or afar, casts a spell over me’. L’Inde sans les Anglais (1904) is dedicated to the leader of the Boer resistance against the British Empire, ex-President Kruger of the Transvaal. While loyal to France, the country which won his heart was the Ottoman Empire, of whose death-throes he was a sympathetic recorder and, as far as was possible, mitigator. It was in Constantinople in 1876, as a young sailor on Le Gladiateur, that he had the first, fatal love affair with a Turkish woman, who secretly left her harem at night to see him, which he immortalised in Aziyadé (1877). For the rest of his life he experienced what Lesley Blanch calls ‘serpents of remorse’; in 1877, in the interests of his naval career, he had sailed away from Constantinople. His mistress subsequently died, possibly from potions recommended by other members of the harem. The pattern of ‘loving and leaving’ was established. He eventually brought back the tombstone he believed to be Aziyade’s to his house in Rochefort, now the Musée Pierre Loti. 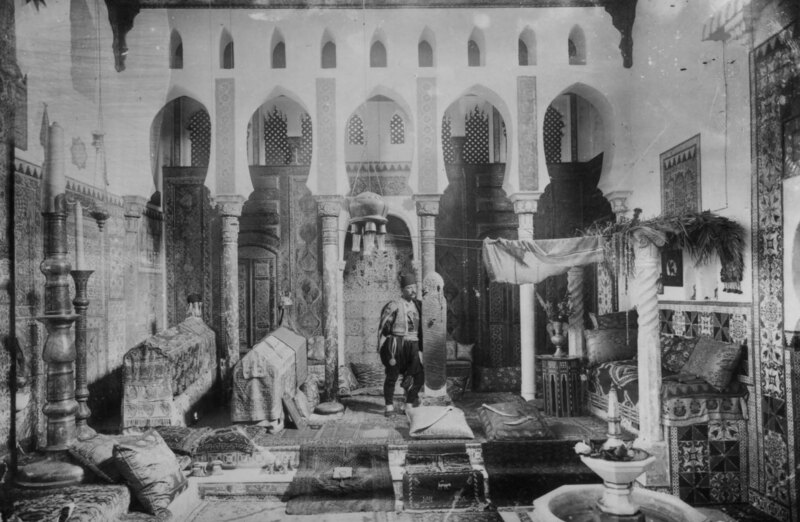 It can still be seen today, among the Arabic, Turkish, Chinese and Japanese rooms and pieces of a mosque shipped from Damascus: his private escape from life in the West. Loti’s life is the apogee of that French love affair with the Ottoman Empire which had begun in 1526 when Francois Ier appealed for help to Suleyman the Magnificent after his defeat at the Battle of Pavia. Loti revisited Constantinople many times, being fêted by two Sultans, Abdul Hamid II and Mehmed V. With his pen he defended the Ottoman Empire against all enemies and accusations. On his last visit in 1913, he was acclaimed by the city and entertained to dinner in Topkapi Palace itself His books made him famous in France and Europe, although as Lesley Blanch writes − she has had a similar experience − in Paris he felt an exile, neither amazed nor delighted. Sarah Bernhardt adored him; the devoted, long-suffering and extremely influential Juliette Adam, one of the leading ladies of the Third Republic, advanced his career. No one forgot his dark, enslaving eyes, their appeal heightened by the kohl with which he lined them. Henry James admired his ‘fine golden dust’; Anatole France praised his skill in conveying ‘the bitter flavour of exotic loves’. In 1892 he was elected to the Académic Française. Loti was not suited to what Lesley Blanch calls, with feeling, ‘the harrowing novelty of married life’. In the end he separated from his long-suffering wife Blanche. He died in Hendaye, on the Spanish frontier, in 1923. He had lived long enough to hear that, in November 1922, Turkish forces had defied Britain and France and re-entered Constantinople. Loti is a man for our time. In an age when globalisation and imperialism have found more insidious forms of control than those known to the French and British Empires, he reminds us that, even inside the armed services of the imperial power, dissenters can speak out. Copyright © Philip Mansel, 2004, 2015. Reproduced by kind permission of the author. Photographs & graphical images copyright © their respective copyright holders. All rights reserved. Unless otherwise specified, the content herein is only for your personal and non-commercial use. Philip Mansel (born 1951) is an historian of courts and cities. He was educated at Eton College, Balliol College, Oxford, and University College London. He has published eleven books of history and biography relating either to France or the Ottoman Empire and the Middle East: Sultans in Splendour (in 1988), Constantinople: City of the World’s Desire 1453-1924 (in 1995) and Levant: Splendour and Catastrophe on the Mediterranean (in 2010). He is currently working on a biography of Louis XIV. He has written the first history of Aleppo in English, Aleppo: Rise and Fall of a World City to be published in February 2016. His book on Napoleon and his court, The Eagle in Splendour, was reissued by I. B. Tauris in 2015. Pierre Loti lived what most romantics only dared write about. An ebook and new paperback edition of Lesley Blanch’s biography are now available.